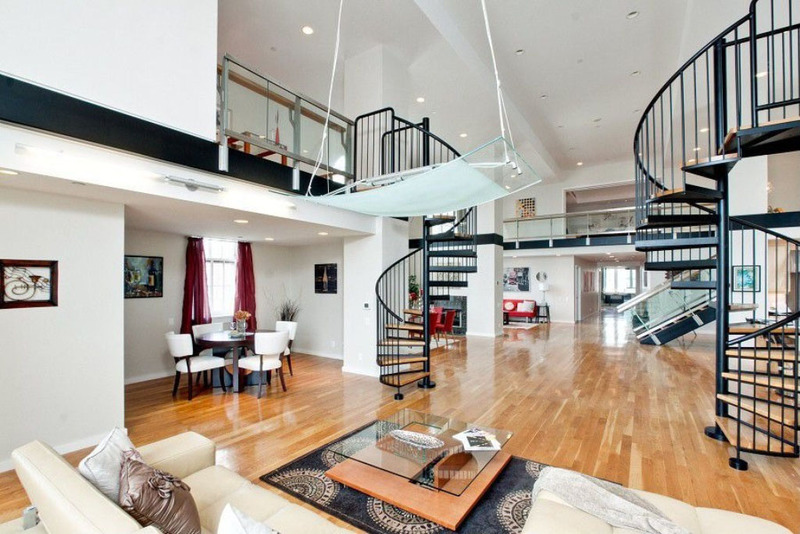 This contemporary penthouse loft features 3 bedrooms, 3.5 Bathrooms, 4,327 sq. 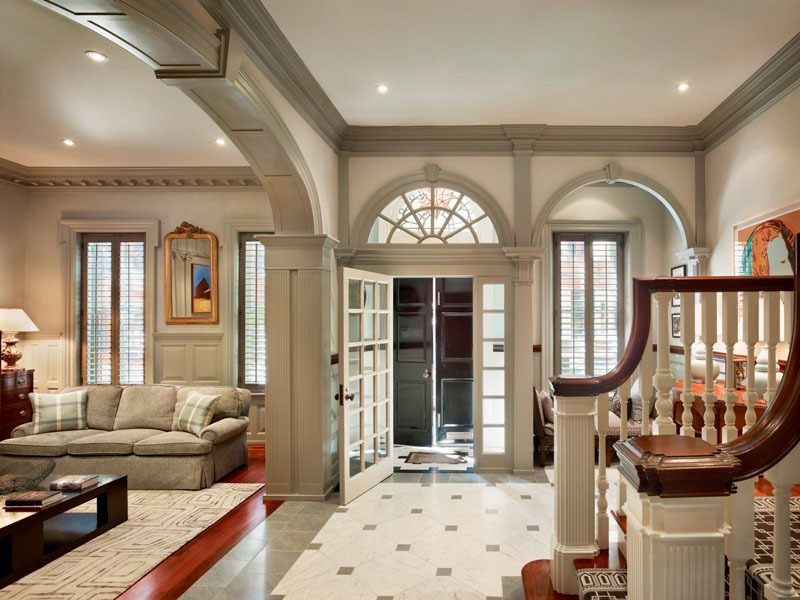 ft. of living space and dramatic high ceiling on the main level as well as spiral staircases that lead to the upper loft study areas. This 8,300 sq. 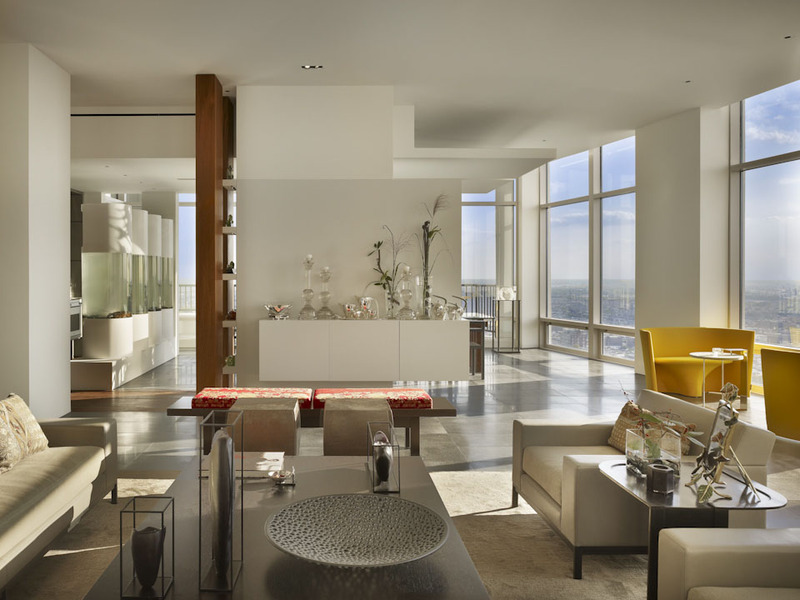 ft. luxury penthouse apartment in Philadelphia, Pennsylvania was designed to showcase the owners’ art collection. This urban gallery by Cecil Baker + Partners has a sophisticated soft modern design. The large floor to ceiling glass windows take full advantage of the panoramic city views for the ultimate urban experience. Located on a corner of an irregular street grid, this modern home in Philadelphia, Pennsylvania has a curve brick corner to respond to the street layout. 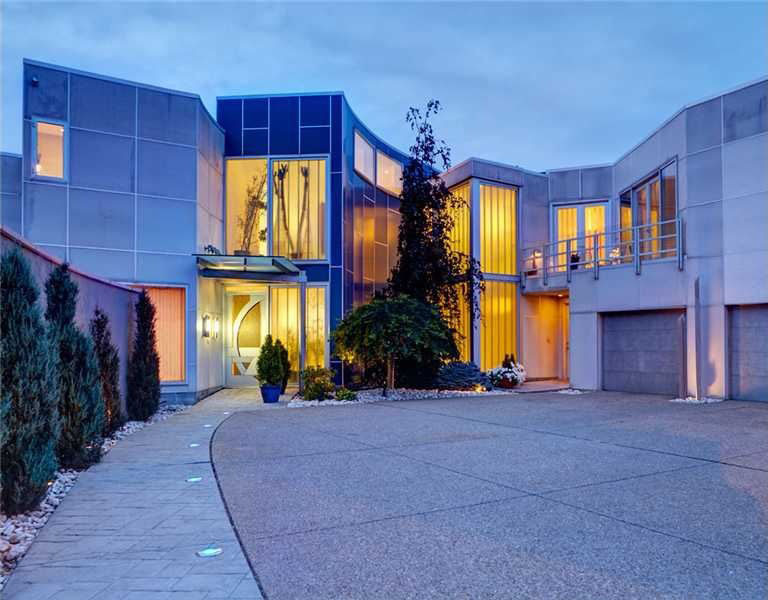 The split level architectural design by Qb Design makes efficient use of tight urban space.